Amadeus Music Academy offers superb singing lessons in Stoke-on-Trent. We work within your capabilities and desires to help you achieve your full potential. Training includes breathing exercises, expend your voical range, knowing your voice in order to enhence your strength and improve your weakness, microphone technique as well as essential music notation understanding from all genres of music; classical, pop and musical. 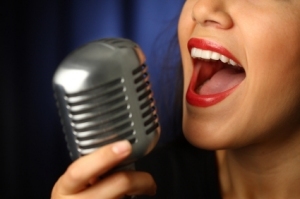 We can nurture your natural talent through effective, professional singing lessons.